Behind the scene of the Alexandria Gazette’s story on, “Working at the U.S. Navy Torpedo Plant,” dated November 28, 2018. Spencer Brent born 1900 in Virginia, he lived at 421 Princess Street. Spencer worked at the Torpedo Plant as a helper. Lewis Williams born 1892 in Virginia, he lived at 936 North Columbus Street. Lewis worked at the Torpedo Plant as a laborer. Henry Anderson born in Virginia, he lived at 609 North Henry Street. Henry worked at the Torpedo Plant as a laborer. William H. Bell born 1887 in Virginia, he lived at 414 North Patrick Street. William worked at the Torpedo Plant as a janitor. Omar Robertson born 1898 in Alabama, he lived at 1109 Queen Street. Omar worked at the Torpedo Plant as a laborer. Joseph Randolph born 1899 in Richmond, Virginia, he lived at 1216 Princess Street. Joseph worked at the Torpedo Plant as a laborer. He moved to 212 North Payne Street where he died in 1935. William E. Toliver born 1878 in Virginia, he lived at 1006 Wythe Street. William worked at the Torpedo Plant as a laborer. Also African American women held important jobs at the Torpedo Plant, they worked in the file room and they held positions as clerk-typist. 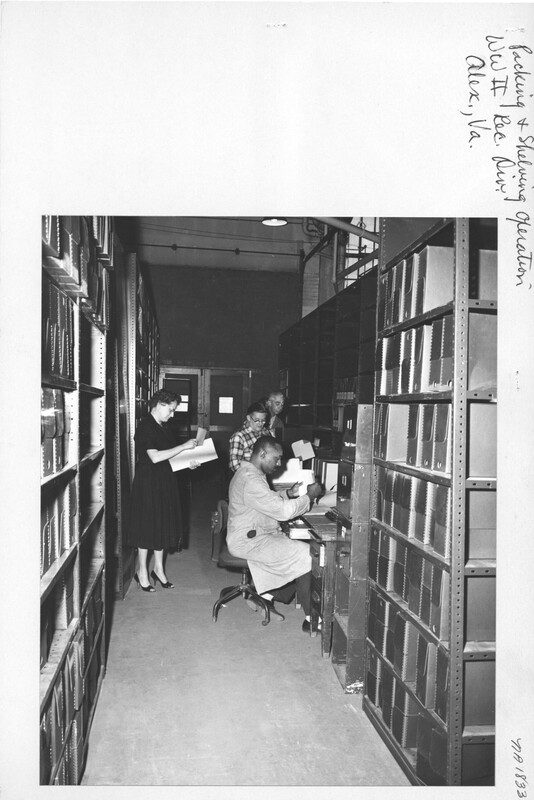 Many of the records they handled were records that were taken during World War II from Germany. The United States Navy Torpedo Plant employed many African Americans at their plant. These man and women were the back bone of the Plant. Many African American men supplied the heavy laborer work that was necessary to transport torpedoes to the enemy countries during the war. You can read the rest of the article in the Alexandria Gazette Newspaper dated November 28, 2018 on page 14 at http://connectionarchives.com/PDF/2018/112818/Alexandria.pdf. First, I want to thank all of the descendants for giving me the opportunity to research and connect their family to the Freedmen’s Cemetery. I truly feel that their ancestors have made me a part of their family. Also the book is available through the Alexandria Black History Museum (ABHM) in Alexandria, VA. I will be launching my book signing at ABHM on February 9, 2019. If you live in the area, you might want to buy the book in Alexandria from ABHM. Some of the proceeds will go to the Alexandria Black History Museum. I am glad to announce that my new book will be out between late December and January of 2019. My book “Alexandria’s Freedmen’s Cemetery: A Legacy of Freedom” has been in the making since 2015. I will be posting future book signings and behind the scene journey of finding descendants of the Freedmen Cemetery that is the backbone to writing this book. So look out for the next newsletter in December 2018. Behind the scene of the Alexandria Gazette’s story on Charlene Taylor-Napper dated October 24, 2018. 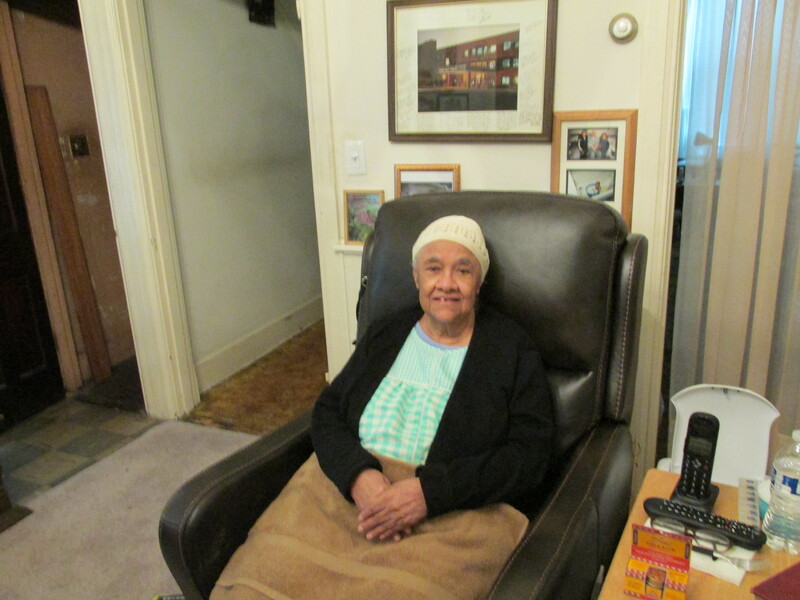 Mrs. Charlene Taylor-Napper had three sons, Charles ‘Buddie’ R. Napper, Leonard “Lenny” Lee Napper and Erich Dwayne Napper. Only one son is living, Erich. Buddie married Patricia Mae White and from that union, they had one daughter, Quinnette. Quinnette C. Napper married Darnell Braxton. She has four children De’jah, Jalani, Jacquez and Damin’ka. Buddie was a member of Third Baptist Church. Lenny married Toni Mcllwan and from that union, they had two sons, Don and Marlon. Lenny’s grandchildren are Keeyana, Kori, Vincia, Taliyah, Don and Jaylon. Lenny was baptized at Sheppard Air Force Base, TX. Both brothers’ funerals were at Third Baptist Church in Alexandria, Virginia.